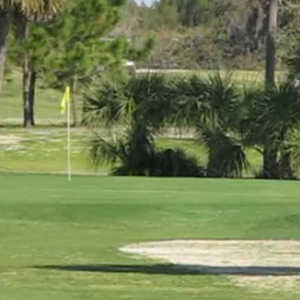 PALM HARBOR, Fla. -- When it comes to the four golf courses that make up Innisbrook Golf & Spa Resort, the Copperhead Course is the most well known, the Island Course is rising with a bullet and the North Course is known for its simplicity and for being a fine tune-up for the two signature courses. 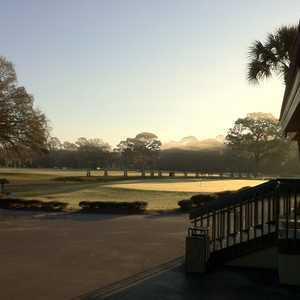 Designed by Larry Packard, Innisbrook Golf & Spa Resort's South Course dates back to 1971. The 18-hole Highlands South Course at Innisbrook Resort & Golf Club in Palm Harbor, FL is a resort golf course that opened in 1970. Designed by Larry & Roger Packard, Highlands South Course at Innisbrook Resort & Golf Club measures 6620 yards from the longest tees and has a slope rating of 125 and a 71.2 USGA rating. The course features 4 sets of tees for different skill levels. The greens are tiff eagle grass and the fairways are bermuda grass. But Innisbrook's South Course deserves to be right up there with its more publicized sister courses. Playing at 6,620 yards from the tips, it is just as tough as the Copperhead or the Island Courses -- and just as challenging. The Copperhead Course hosts a PGA Tour event, and the Island Course is home to an LPGA Legends Tour event, so the South Course doesn't quite get as much ink. But do not take it for granted. The South Course is tough, with tight fairways, some water and closely guarded greens. More than any other of the Innisbrook courses, the South has a links feel to it with rolling fairways and bunkers everywhere. When the wind is whipping, the South can make for a very tough round. And while the greens tend to be large and mostly flat, just getting to them is difficult. A lot of courses use fairway bunkers as directionals, but at the South Course they come into play and make bailing out the only option. Designed by Larry Packard in 1971, the South Course hasn't changed much over the years. 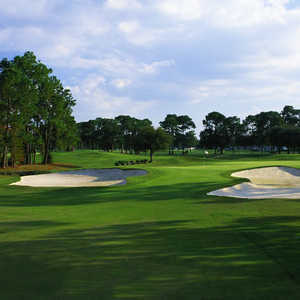 But as one of the four courses at the Innisbrook resort, it is an organic part of the experience. Innisbrook is all-encompassing, featuring shuttles that get you around the property and several restaurants, making it a great resort experience. "We come down here every year to get out of the snow," said Canadian snowbird Robert Massie. "They treat you perfect here. Everyone wants to play the Copperhead and the Island, but the South is our favorite. It is as tough as any course out here and, shoot, the beach is only a few minutes away." The South Course bares its teeth on the second hole, a 500-yard par 5 with an extremely tight fairway. The first cut of rough on most of the holes is normally benign, so don't be afraid if you miss the fairway, but there are three bunkers in the landing area on the right at No. 2 that are not forgiving. The front side is the easier of the two nines. The front plays to 3,100 yards, while the back goes to 3,520. But the toughest hole is No. 8, a 525-yard par 5, where water comes into play all the way down the right side and -- once again -- the fairway is tight with trees on the left. The green is protected, so going for it in two might not be the best idea. On the back nine, the 560-yard 13th hole is by far the longest on the South Course. There are bunkers everywhere, and it takes an aggressive tee shot to clear the first set of bunkers, set off to the right side. The green is guarded on all sides, so it's best to play it safe. After a tough par-4 14th hole that requires a drive over water and an approach to a tight green, the 555-yard 15th is a monster. There is water everywhere, and a creek that crosses the fairway makes for a strategic tee shot. Bombers can try to clear the creek, but most players should leave the driver in the bag and not even think about reaching the green in two. A long iron off the tee is a good idea, because there is plenty of room to land. The fairway gets really difficult for the second shot, with a deep trap on the left and water on the right. The South Course ends with a bit of a treat. It is a rare par-3 closing hole. At 185 yards, it requires a carry over water, but it is the easiest hole on the course. "This is the most fun course at Innisbrook because you don't feel like you are playing at one of the major courses," Massie said. "It's tough, but when you play Copperhead or the Island Course, you feel like you have to play your best because that's where the pros play. This course is just as tough." Innisbrook's South Course is tough and shouldn't be ignored, especially by locals who may find it easier to get a tee time than at the Copperhead or Island Courses. The South isn't too long, but the fairways are tight and keeping it straight will make or break your score.